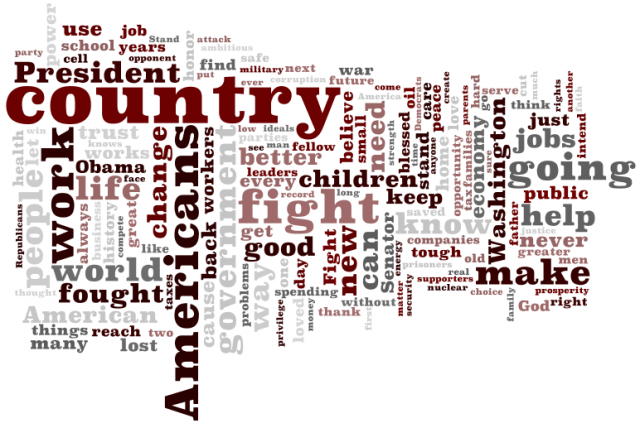 McCain’s top words appear to be country, work, fight, Americans, make, and going. Obama’s top words seem to be promise, America, time, McCain, American, and work. The word clouds were made with Wordle, a free online tool that lets you create word clouds from pasted or linked-to text.